Ideal for people with sensitive scalp who are looking to avoid harsh, scalp-upsetting chemicals. Also suitable for people who may be prone to eczema and psoriasis on the scalp. Salcura Omega Rich Formula Conditioner is ideal for dry, sensitive scalps, this omega-rich conditioner nourishes the hair and scalp, leaving your hair shiny and manageable. 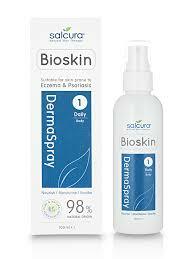 Contains no SLS or harsh chemicals. Salcura Omega Rich Formula Conditioner is packed with Omega's 3,5,7 & 9 thanks to the Sea Buckthorn berry. It also contains other vital skin-essential nutrients from ingredients like Starflower, Sunflower and Rosemary to help soothe, moisturise and protect the scalp. 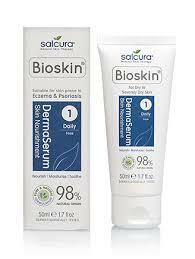 Also suitable for those who may be prone to eczema, psoriasis and dermatitis. 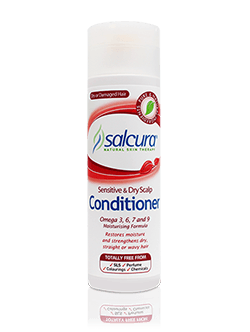 Salcura Omega Rich Formula Conditioner is an ideal complement to Salcura Shampoo, as well as dealing with a problem scalp, the Conditioner leaves hair feeling replenished with its fullness restored. 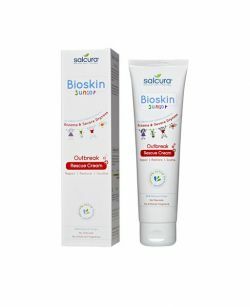 Salcura's hair products do not contain Steroids, Paraffin, Sodium Laureth Sulfate and Sodium Laurel Sulfate (SLES & SLS), Parabens, Petroleum Jelly, Diethanolamine (DEA), Phthalates or Synthetic Fragrances. Wash hair with Salcura Shampoo and rinse thoroughly before applying Salcura Conditioner. Apply from the roots to the tips of the hair and leave for 3-5 minutes before rinsing off with water.